Forge World is hitting two ends of the timeline spectrum this week with their releases. 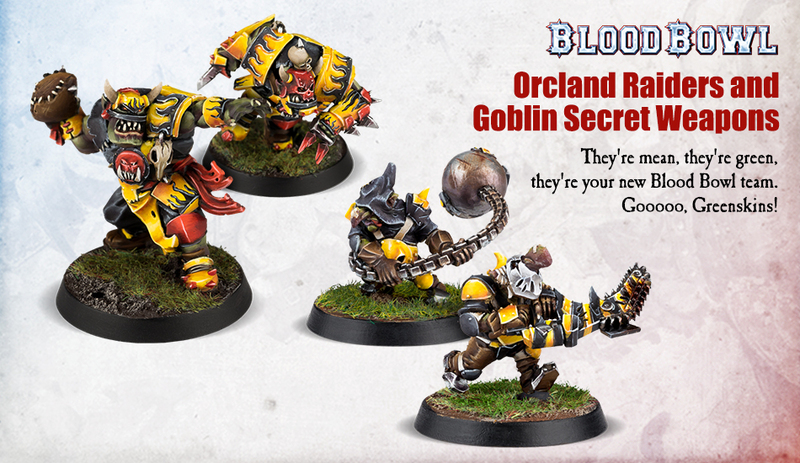 On one side, they're in the far off and mythical past of Blood Bowl with some new goblin secret weapon figures, plus a new pitch to play on, as well as bundling those in with teams and the base box game. On the other side, with the release of the new edition of 40k coming out tomorrow, they've created a bunch of different bundles for some of their figures for the various factions, along with the Imperial Armour books to go along with them, available individually or together in a set. 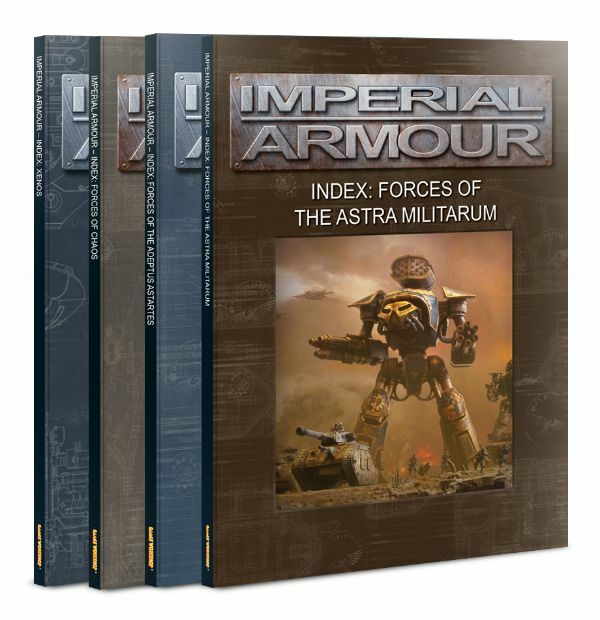 Collecting together the four Imperial Armour – Index books, this bundle will provide you with the necessary datasheets for using your Forge World models in games of Warhammer 40,000. 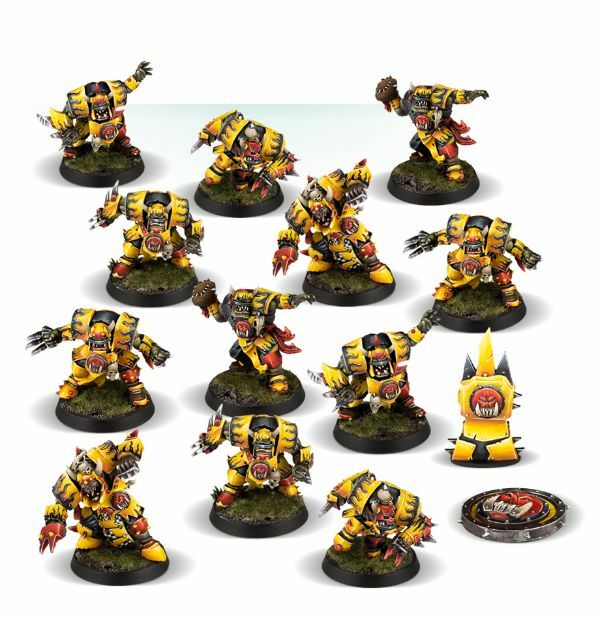 These books are designed to update the rules for Forge World’s current and recent ranges of models for use with the latest incarnation of the Warhammer 40,000 game. The books and their contents are fully compatible with the Index books available from games-workshop.com, expanding on the range of Datasheets to be found there and containing all the information you need to field your Forge World models in the new edition of the Warhammer 40,000 game. Also included are Power ratings and appendices for their use in Battle-forged armies. 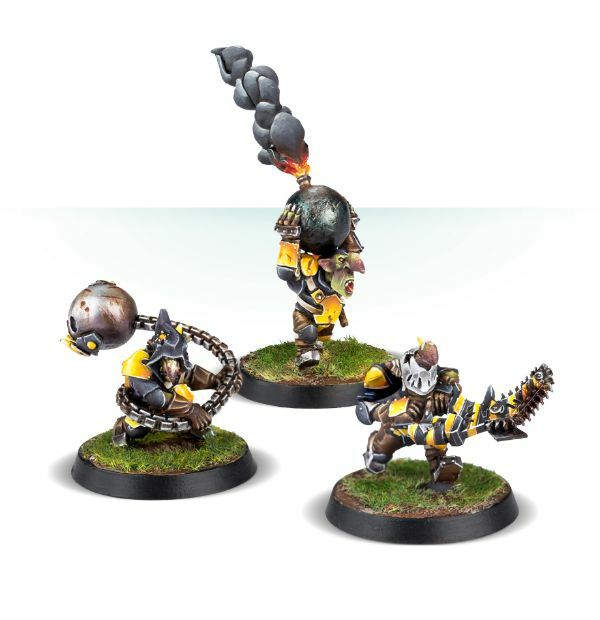 Field the Orcland Raiders on your Blood Bowl pitch with this resin and plastic kit – in it, you’ll find a plastic Orc team (actually the Gouged Eye, but who’s counting?) and the resin components needed to upgrade them into the Orcland Raiders. These components simply replace their plastic equivalents, with the arms, heads and armoured shoulder pads giving you that authentic Orcland Raiders look with a minimum of fuss. Give yourself a sneaky fighting chance by adding these unsportsmanlike Secret Weapons to your Goblin team – 3 in total, 1 Bomma, 1 Looney and 1 Fanatic. Each wear quite a lot of armour, hoping to delay their inevitable smearing across the pitch. The Fanatic wields an evil-looking ball and chain, the Looney strides purposefully forward with a small yet perfectly formed chainsaw and the Bomma… well, he’s carrying a bomb larger than his head, emitting a plume of noxious smoke as the fuse edges dangerously close to something of a violent exothermic reaction. If you’re going to cheat, bombs are a pretty good way to do it! Covered in ruts, ditches, debris and, well, gouges, the Doom Bowl is notorious as the place where many a plucky Blood Bowl team’s dreams have been stomped flat by a roaring line of belligerent orcs. Those who have survived the baleful gaze of the eye placed in the centre are often permanently changed by the experience – it’s a brave player indeed who returns to this pitch. 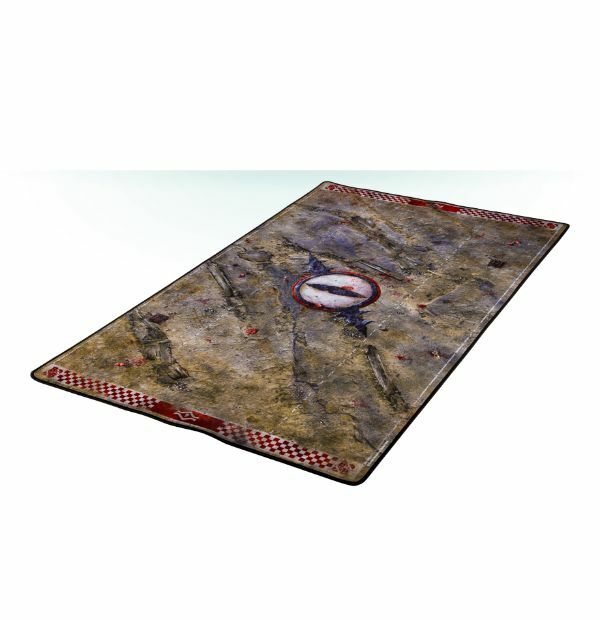 This is a hard-wearing, durable neoprene pitch for games of Blood Bowl. Rolling straight out of the tube, with no assembly or unfolding required, the dimensions of the pitch itself are the same as the pitch included in the Blood Bowl boxed game – this one is simply that little bit more striking to behold and, with its double stitching at the edges, even more durable when being transported to and from matches. Rolled flat, the whole thing measures 890mm x 530mm.